Over the last few years, CBS has bestowed honorary doctoral degrees on the likes of Jay Barney, Oliver Williamson, Oliver Hart, Michael Brennan, and other luminaries in strategy, the theory of the firm, and finance (in addition to a number of reps of pomo in management research that are of small interest to O&M readers). At a ceremony on 19 April a CBS honorary doctorate will be bestowed upon Birger Wernerfelt. Wernerfelt is the JC Penney Professor of Management of the MIT Sloan School of Management. A Danish citizen, Wernerfelt holds degrees from the University of Copenhagen and Harvard. Wernerfelt’s best known work is no doubt “A Resource-based View of the Firm.” With more than 12,000 cites (google scholar) this paper is also one of the most cited social science research articles ever, and, of course, one of the founding papers of strategy’s (still) dominant view, the resource-based approach. 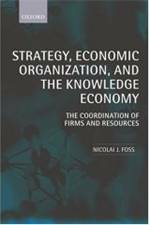 The paper develops a conception of firms as bundles of heterogeneous and partly firm-specific resources, and links this conception to sustainable performance differences between firms as well as to growth strategies through resource-based diversification. These ideas opened up several paths of research in strategic management in the following decades, including Wernerfelt’s own influential empirical work (with Cynthia Montgomery) on diversification and its link to performance (e.g., here). More recently, Wernerfelt has been working on other truly fundamental aspects of the theory of the firm, namely the reason why firms exist and what explains their boundaries and internal organization. Thus, in a series of papers, Wernerfelt has developed an argument that the employment relationship exists because it allows the parties to the contract to exploit economies of scale in bargaining costs (e.g., here) — a stream that may be seen as much more true to the original message in Coase’s (1937) “The Nature of the Firm” than the asset-specificity branch of the theory of the firm. 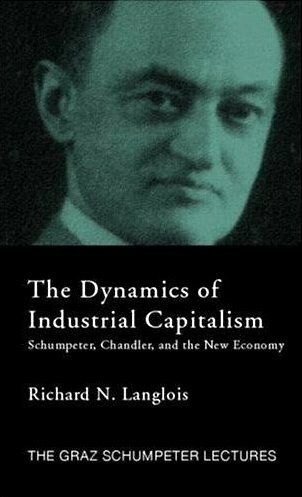 Wernerfelt has extended the argument to the understanding of asset ownership, communication within and between firms, and the strength of incentives in firms versus markets. In addition to these contributions to strategic management and the theory of the firm, Wernerfelt has contributed to the economics of search and numerous important contribution to marketing theory. Entry filed under: - Foss -, People, Strategic Management, Theory of the Firm. I didn’t know he was Danish. So many Great Danes….